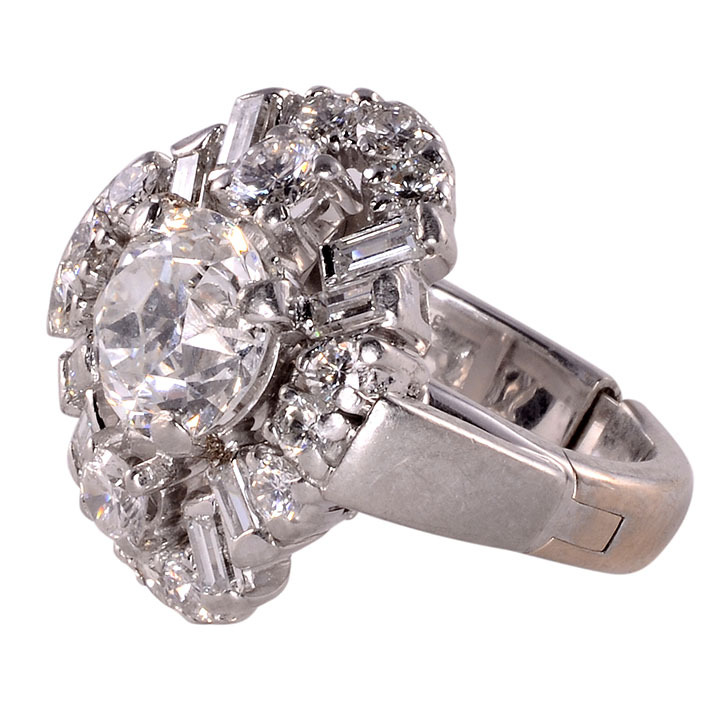 Vintage 1.76 carat center diamond platinum ring, circa 1950. This vintage diamond ring has one old European cut center diamond at 1.76 carats with SI1 clarity and H color. 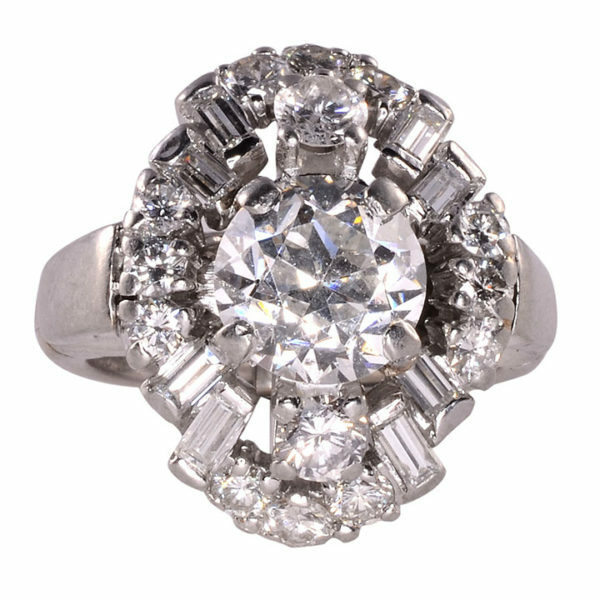 The vintage platinum diamond ring is accented with 14 round brilliant diamonds at 0.80 carat total weight and 8 baguette diamonds at 0.25 carat total weight. 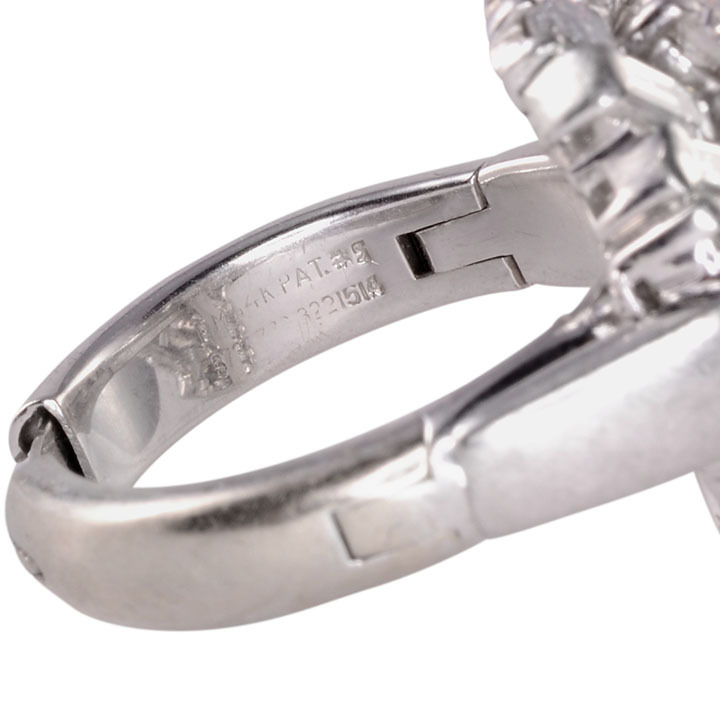 All accent diamonds having VS1-I1 clarity and G-I color. 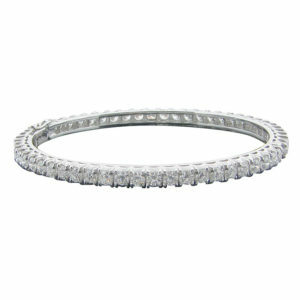 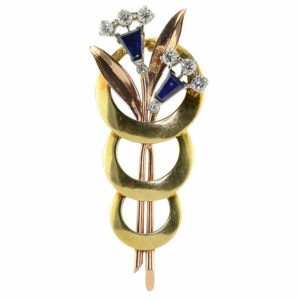 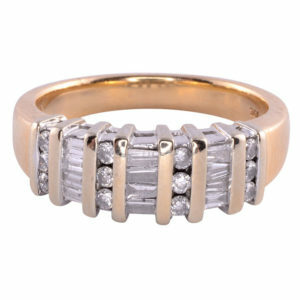 The vintage platinum ring has an open and close 14KW gold shank, when closed is a size 5. 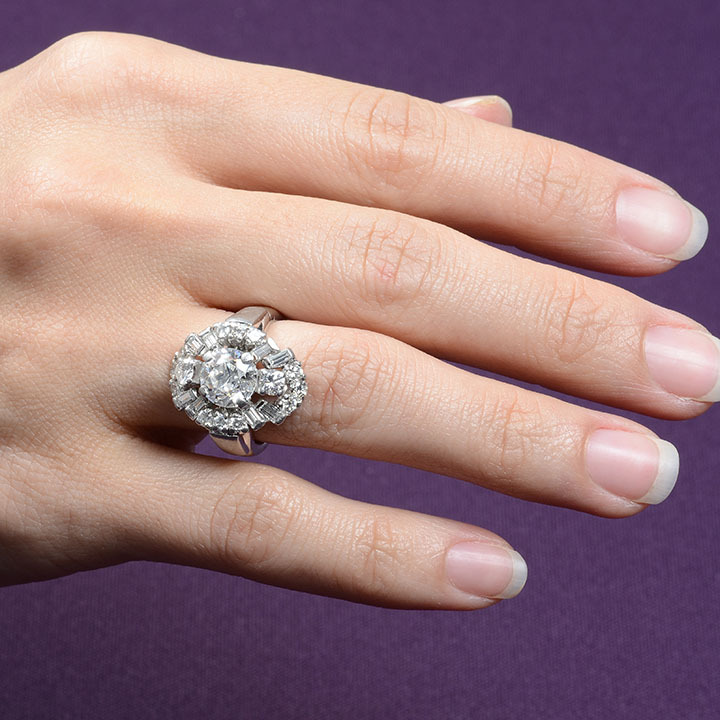 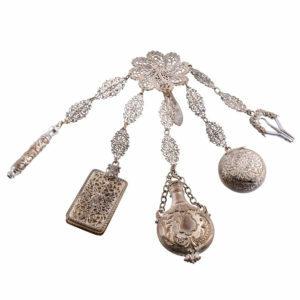 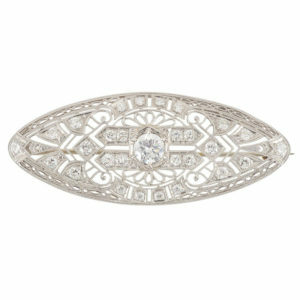 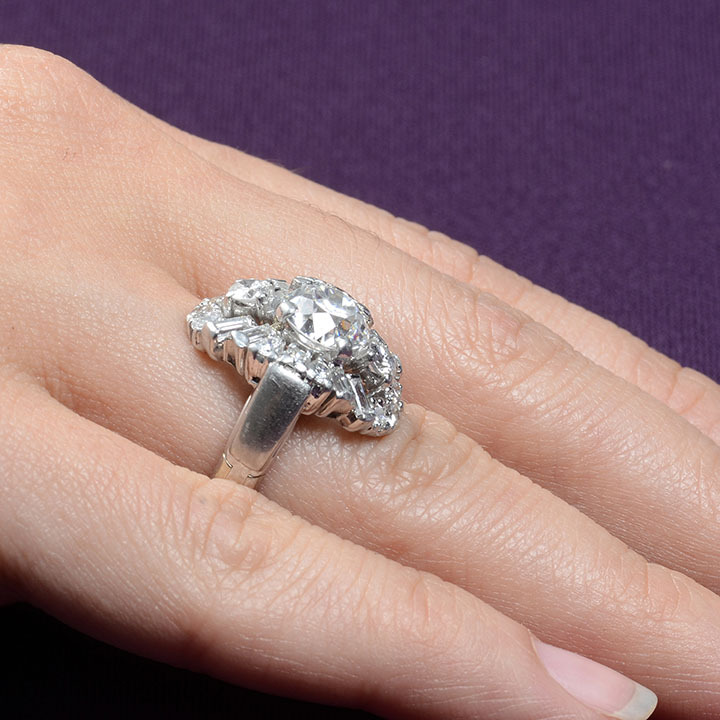 This vintage diamond platinum ring is appraised at $23,000.